Mission: With every item recycled, you help to ensure safe drinking water. 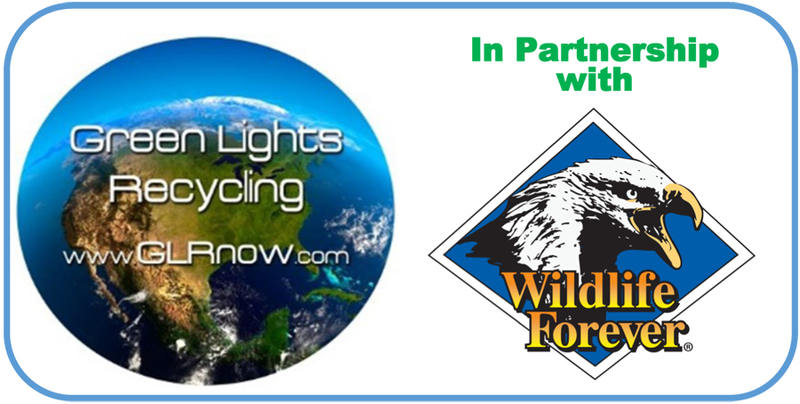 Join Green Lights Recycling and Wildlife Forever in conserving America’s lakes and streams. 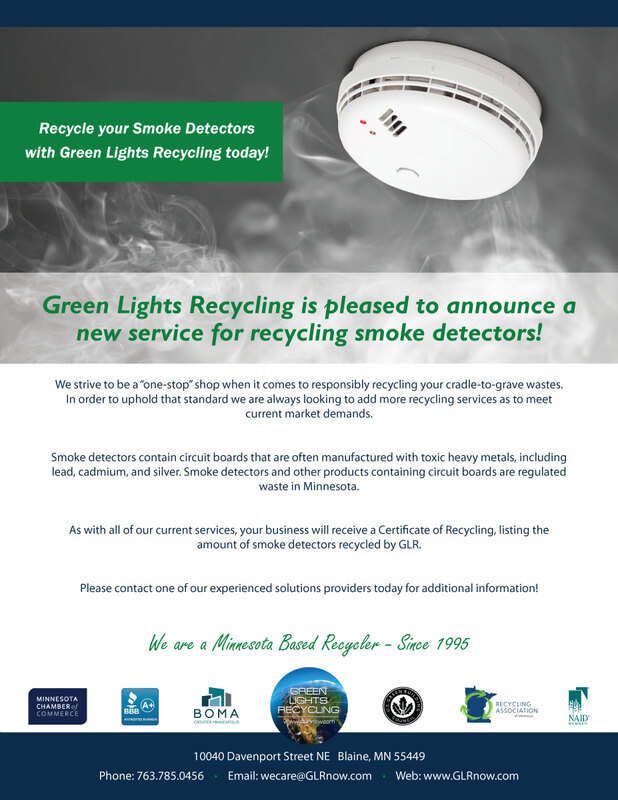 Send us your Lights, Batteries, Recyclables. Help Protect Our Lakes and Streams from Mercury & Heavy Metals Pollution. Our Universal Waste Mail-Back Program is as Easy as 1, 2, 3! Prepaid mail-back containers are shipped to you with everything needed to properly pack and ship your spent light bulbs, High Intensity Discharge (HID) bulbs, compact fluorescent (CFL) bulbs, batteries, smoke detectors, tritium self-powered exit signs, ballasts, electronic scrap, and mercury containing thermostats, thermometers, and switches. Fill the interior bag with your spent items (per the enclosed instructions), seal the bag inside the container, and seal all box seams with 2” to 3” packing tape. Complete the enclosed prepaid return shipping label with your facility’s name and address and call FedEx Ground to pick up your full containers. Our goal is to ship every kit from our centrally located fulfillment facility within one day of order. Your waste materials will be shipped to one of our fully permitted recycling facilities, and a certificate of recycling will be available online at certofrecycling.com when the full container is returned. 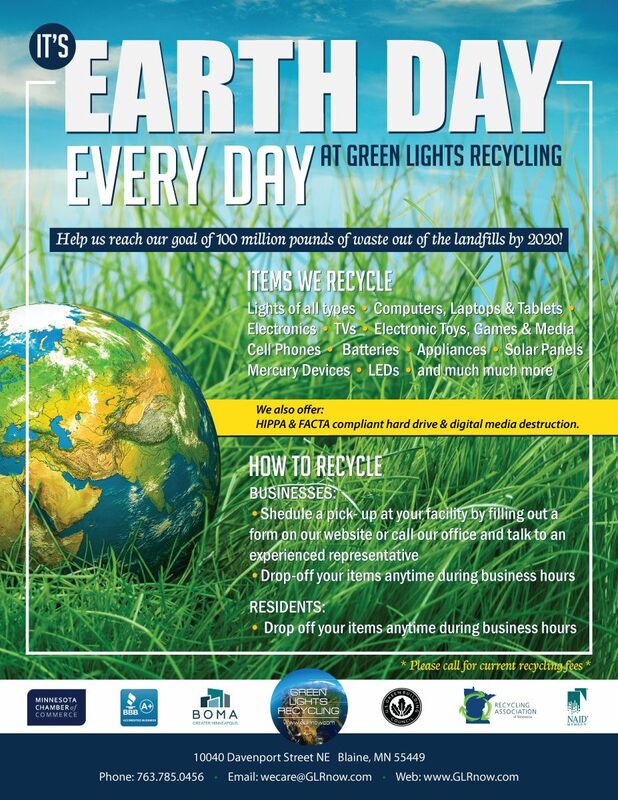 The Pre-Paid Mail-Back Recycling Kits are available within the Continental United States. Not available in Alaska, Hawaii, Maine or Puerto Rico.